A needle is a metal rod with a pointed tip which is used mainly in copper plate printing to score drawings on the plate. The cross-section of a needle’s tip can be round, triangular, diamond-shaped or rectangular. Each type produces lines of a slightly different expression but there are no rules on which type to use for any given purpose. The following are just examples of how the commonly-used round and triangular needles may be used. In etching (indirect intaglio technique), round needles are used to scratch the acid-resistant ground off the plate. Smooth long lines can be drawn by adjusting the sharpness of the tip (not too sharp) and the pressure applied (do not apply too much pressure). 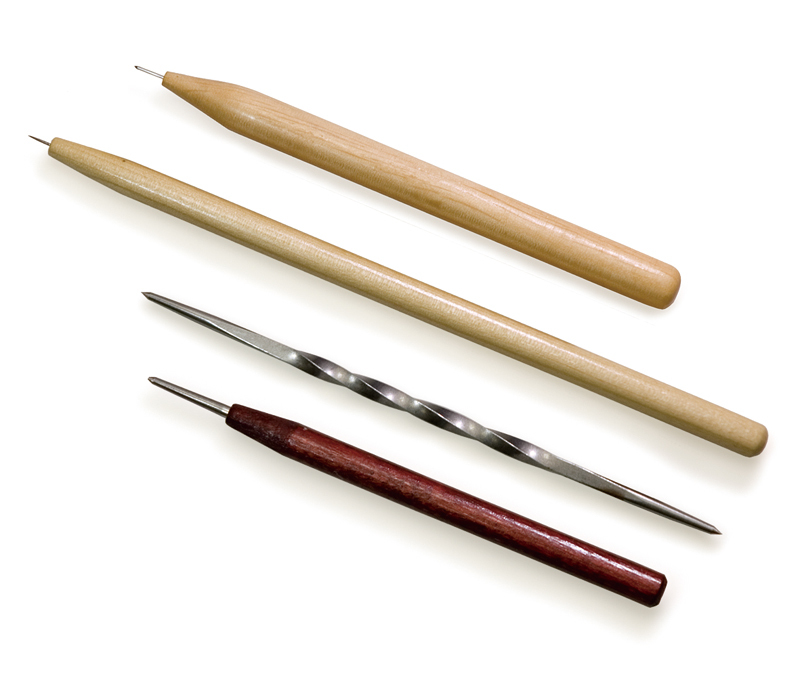 Round needles are also preferred for making intaglio plates from resin boards. For drypoint (direct intaglio technique), triangular needles are basically kept perpendicular to the plate while drawing. Using them this way in a near-upright position produces burrs on either side of the scored lines. When printing, the ink collects around these burrs to create softly blurred lines that are characteristic of drypoint prints. 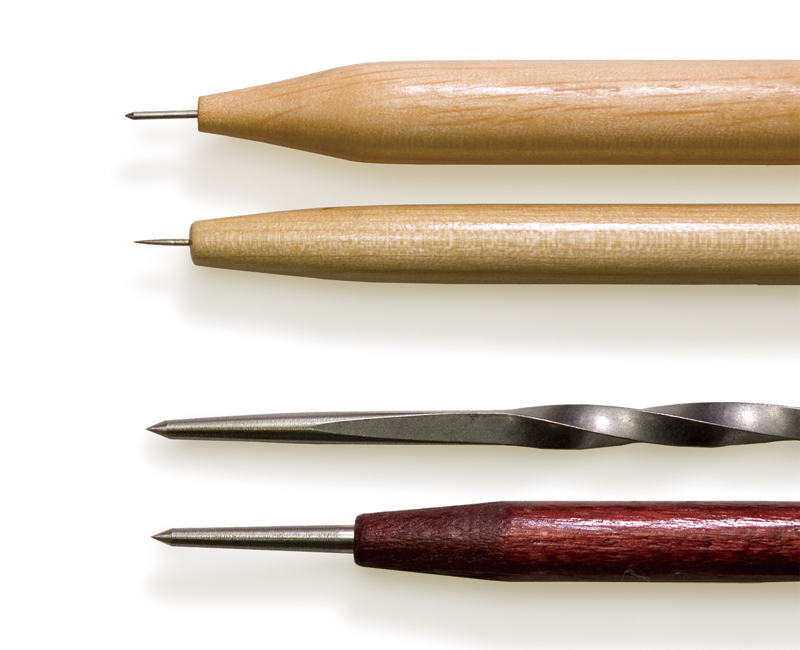 Hard and sharp steel needles are suitable for drypoint as they may need to be pressed firmly against the plate to obtain certain effects. If the tip becomes rounded due to wear, it should be sharpened with oil stone or wet and dry sandpaper. Various types of needles are available on the market from very cheap models to exceptional steel models, as well as those with wooden or cork handles. Needles can be purchased at art supply stores that handle printing supplies.